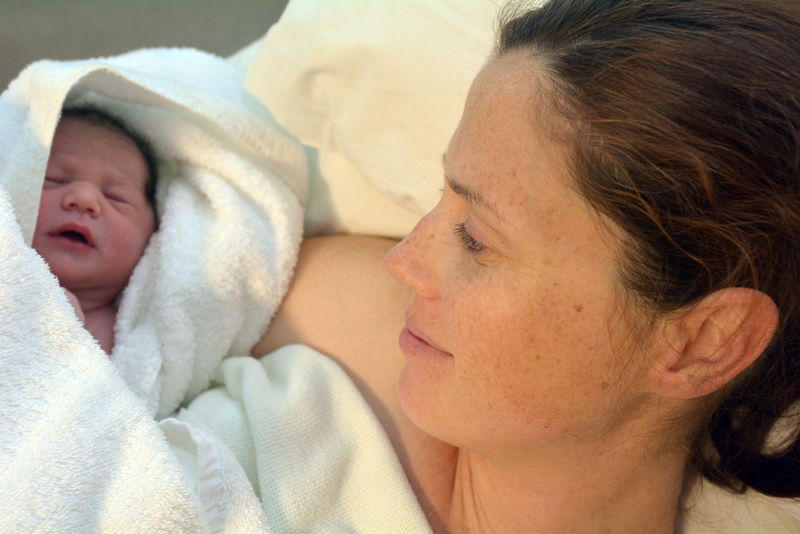 A water birth can take place in a Hospital, Birthing center or at home, with the help of a doctor, midwife or nurse. It is a natural often drug free way to give birth and the warm water acts like a natural pain relief. A water birth is simply a birth that is performed in water. A woman can choose to labor in the water and then get out for the birth or she can labor and give birth in the water. Typically the water is at a temperature of 97 degrees Fahrenheit no hotter. Hot water will dehydrate and cause you to over heat fast. This could result in complications during birth. It is not recommended to get in to the water until you are 5-6m dilated. Getting in sooner can slow down or even stop labor. What are the benefits of a water birth? There are so many reasons why a water birth is the perfect choose for you and your baby. A water birth is not ideal if any of the below apply to you. In most cases your medical adviser will have already told you should a water birth not be right for you. Whilst a water birth sounds like the ideal way to give birth, it will not suit everyone. For some they will simply not have the choice due to illness or complications. Like all births there are always some element of risk involved. It is important to access your risks carefully to determine if you are a good candidate for a water birth and always consult with your health care provider first. Prepare for a water birth in just the same way you would a normal birth. Write a birth plan and pack your hospital bags. Time the trip should you be traveling to a birthing center or hospital and make all participants aware of their roles for the day. I had a water birth with my first child 12 years ago. I have since had a second child and that birth was much more complicated hence a water birth was not recommended. The first birth was a lovely spiritual experience. I needed no drugs and the birth was relatively fast for a first child. The warm water soothed my body and I felt little external pressures on my pelvic floor due to the buoyancy of the water. I loved my water birth and would recommend it to anyone who is an ideal candidate. I had a water birth for my first child and LOVED it! Sooooooooo much better than laboring OUT of water (if you relax in warm water/love baths/etc). I just had my second child at a hosptial due to financial considerations (he was a surprise baby!) and I can tell you that I’d much rather have a water birth…or at least a home birth! Congratulations on the birth of your second child Elaine. I agree, water births aren’t for everyone but I found my first birth a pleasant one due to the warm water. Hopefully same goes with baby number 2! i wish you the best of luck – A friends mate had a water birth go wrong so i chose not to water birth – But everyone will inform themselves – i used to frown at mums that didnt immunise but now i dont …. Sending lots of well wishes you way…what an exciting and special time. Our 3rd child May has just turned One the other day and it only seems like yesterday she entered the world, I had an amazing 1.5 hour drug free delivery and my husband received the best birthday gift ever…they share a birthday. The best was my 6year old eldest daughters face when she met her new sister for the 1st time and said”This is the best day of my life” I cried!!! Don’t they grow up fast Pia? Ethan just started ‘big’ school and I too am amazed on how fast they grow. Thank you for your well wishes I hope to update you on the birth of baby Carter very soon. Soooo exciting! Tracey, I wish you all the best for this second birth! Hope to have news soon. Hugs and kisses to you and your family. Congratulations Letanya on the birth of your third child. I am so pleased to hear you found the water birth amazing. Thank you for your well wishes I hope you and your family are well and another congratulations on winning our UK Real Mums, Real Fit competition. I am pregnant with my fourth and am wanting a water birth this time around. After two epidural births and one natural birth (all three in hospitals) I am hoping for a home birth or birthing center; either one I choose will be in the water!!! I love the book Your Best Birth for anyone wanting a good read with a girlfriend-chat kind of feel. There will always be a bad story here or there for anything in life (as one commenter mentioned a bad water birth for her friend) but water birth happens to be one of the safest and most serene ways for baby to enter the world. Tracey, looks like we had similar due date. Our Isaac (#5 bub for me, 2nd for hubby) was born a week early (25 Jan) at home in the birth pool we had bought. Previously I had #1 via emergency C/S then next 3 at a birthing centre in birthing pools and decided that I would like to try homebirth. Was great not having to go anywhere and then staying at home was much more comfortable and easy, Good luck with yours!